Before any arrangements are made for purchase, restoration or refurbishment, you should carry out an assessment on your piano. The assessment takes about 1-2 hours to complete. Simply book your appointment for your full report to be done. An on-line assessment for purchase is a different level of service/ pricing to face-to-face inspections for restoration - please ask for details. Once the assessment has been completed, you will receive your restoration quotation very soon, along with the detailed report. If you are thinking of buying an old/ 2nd hand piano at auction (online), read the "Buying an old piano online" notes below, and also see my model letter to be addressed to a piano tuner / technician. For a fixed fee, we are also able to provide a full assessment report for purchase purposes. This means that if you are unable to view a piano you are interested in (i.e. too far away/ abroad), and you would like it fully checked over before you consider a purchase, we can make arrangements to meet the seller/ retailer / shop, and check it over for you. Following the report, you will receive all the details within 2 days. The assessment process is the same whether for purchase, restoration or refurbishment reasons. "Piano restoration" falls into various different categories, depending on which you choose. We also include refurbishment and repairs. During the assessment, we will be able to work out a suitable restoration program to suit your pocket. 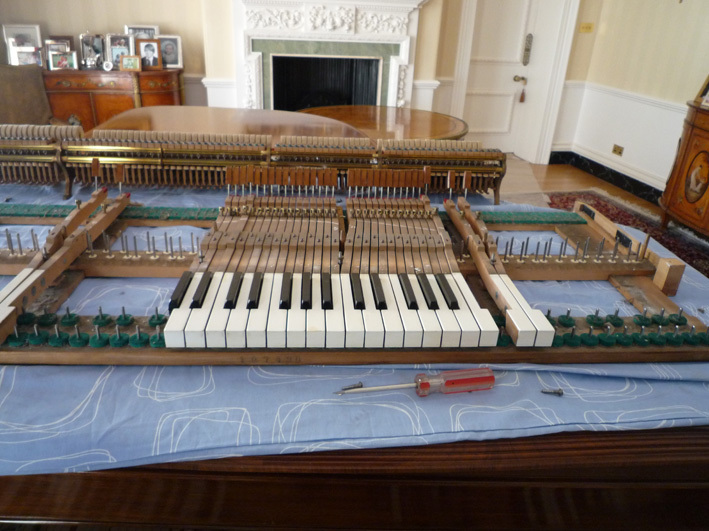 We also check the age and general condition of your piano, and if a full restoration would be successful. We also closely examine the possibility of any insect damage/ invasions. We carry out assessments nationwide and throughout the UK, and in your own home. Depending on your location & kind of restoration required, me may do the work in-situ or in our workshop. Keyboard parts are removed for a full inspection, then reassembled. French polish / cabinet parts / music rest / ornamentation ... scratches, marks etc. Overall appearance of the piano / historical information. Steinway B mechanism : hammers, undercarriages, repetition levers & jacks. The mechanism is fully inspected during the assessment for wear & tear/ condition. It must first be removed from the keyboard - secured by ten locating screws. 1. 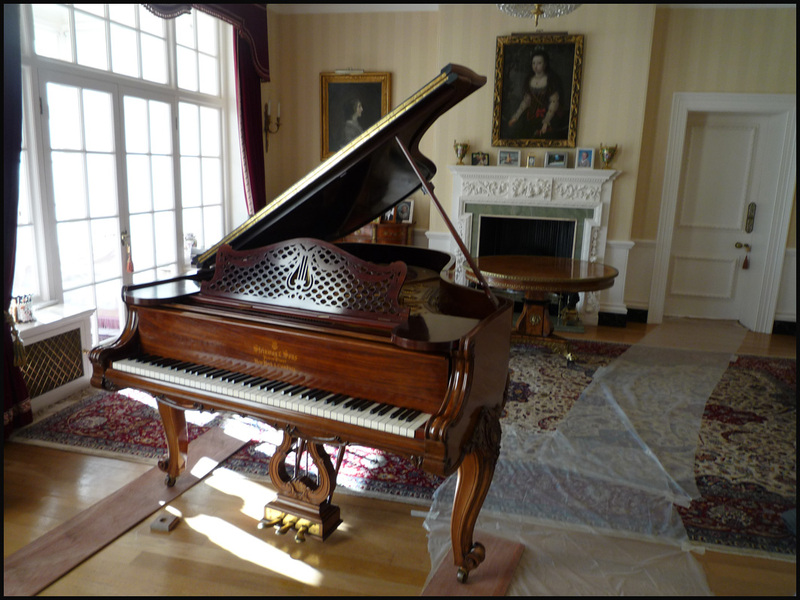 Ask the seller's permission if you can arrange for a piano tuner/ technician to call and assess the piano in their home. 1a. If the piano is in a shop, ask the retailer's / shop owner's permission, and check opening times. Ask the seller to put the piano on "reserve" so that it doesn't sell before stage 2. A decent retailer should hold the piano for you. 2. Contact a qualified piano tuner/ tech who is local to the seller, giving some details about the piano; arrange a separate assessment payment with the tuner preferably by internet banking (BACS), so you have a record. Estimated cost is about £60.00. 3. The piano tuner will then contact the seller/ retailer to make arrangements to call and inspect the piano. This should be done within about 3-4 days, and the report should be sent to you within 2 days. (International reports may take longer). 4. Wait for the results to arrive. You may arrange the results to be sent by post, email (PDF) or both. 5. If the report is successful, contact the seller to arrange payment of the piano. 6. Contact a local expert piano removal team to move the piano to your home, and arrange payment - est. £60 - £100. 8. When the piano has been delivered, allow it to settle in its new environment for about 7 - 10 days. Contact your own local piano tuner to arrange to have the piano tuned thoroughly. 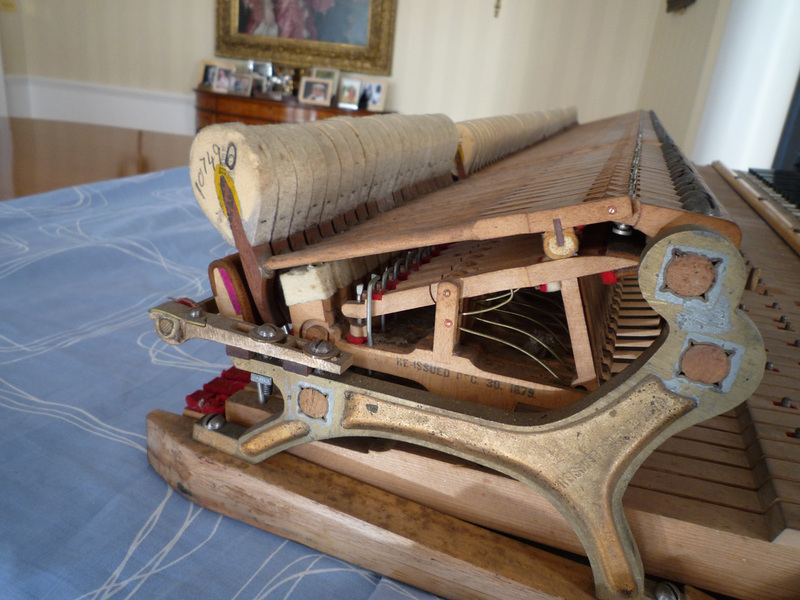 If in your assessment any repairs are required, make a note of this and tell your piano tuner BEFORE the booking (e.g. broken hammer / sticking keys / ivory plate missing from piano key). Remember that it is a risk buying an old piano blind. If there are any delays between any of the stages above, the piano COULD be sold to a walk-in customer, or someone who is prepared to take the risk. Not all piano tuners will carry out inspections, so don't assume this.... best to check if they carry out assessments as part of their job. (A general car mechanic is not qualified to carry out an MOT test - so the same applies to pianos). (Either): We are thinking about buying a (name) upright piano advertised on an on-line auction. (Or): We are thinking about having our old piano restored, and would like to book an assessment. We would like to know if you are able to inspect this piano for us, and if this is part of your job/ in your regional area. If so, please let us know what you would charge for this service. The piano is located at (shop name/ seller's address) and their (telephone/email) is XYZ. (include your telephone number/ town name - this is important, but not your full address at this stage). If the piano is either for purchase or privately owned, please adjust the context of your wording.